So the 2020 HD models standard bed is now longer ? Length increased 3.4 inches, almost 1 inch wider. 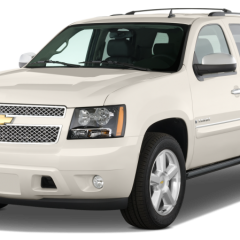 What is Max Payload for 2500 HD CC 4WD? The chart didn't list that combo. More reason to stay with a diesel, like an AT4 HD. Yep, that'll work. GM is putting $22 million into the engine plant in Tennessee that makes the 6.2L. Could be where the 6.6L will be made. That's what the retail was on my All Terrain. To be sure, the info for the 1500 is what I was first seeing this morning. Then your clarification started getting me back on course. By the way the badging I saw in a video and some still photos shows AT4 HD on the door and Duramax on the hood, no 2500 is seen. Interesting. Thanks again for your assistance. 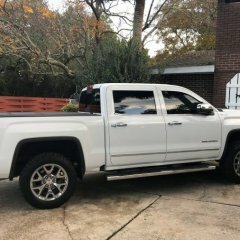 MrChips posted this over on the 2020 Sierra AT4 thread a few minutes ago. My appropriate thanks. Great find MrChips, thanks for sharing. Just what I was looking for, first time I've seen any truck with that combination of badges. Agreed, assuming they make it right. I kinda wish they had stayed with All Terrain/All Terrain X. Thanks redwngr, I know you to be the best source of info in these forums. I thought I had the right stuff, but GM has a ton of stuff on all this. 20" Wranglers, hmmm. Hope they will have all black wheels in 18" or 20". Redwngr when I was reading the HD page at https://www.gmc.com/gmc-life/trucks/introducing-next-generation-sierra-heavy-duty#performance, there is link to the AT4. Rereading the AT4 article, it appears to be for the 1500 class truck. GM needs to point to one for a 2500 HD AT4. The AT4 is supposedly replacing the All Terrain & All Terrain X packages in the 2500 HD. Well my All Terrain and an All Terrain X I almost bought instead both had Duramax in them. So that doesn't mesh. A lot of people I see out in the Arizona mountains (6,000 ft and up) hunting or 4 wheeling are driving diesels. Diesels are great for rock crawling because of low end torque and the turbo for overcoming the altitude. And a lot of those have hauled a large fifth wheel with them to camp with. Not going to sell a lot of AT4's in that regard. Hopefully GM will reconsider that option.